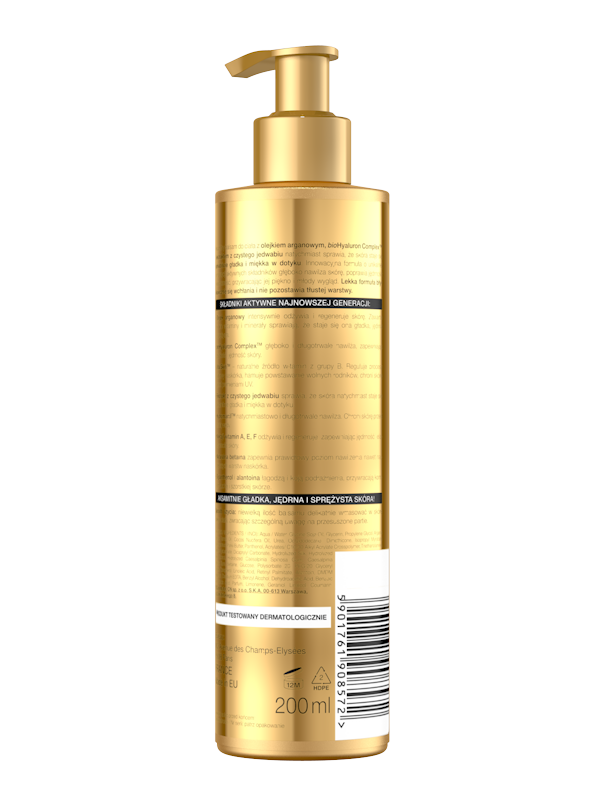 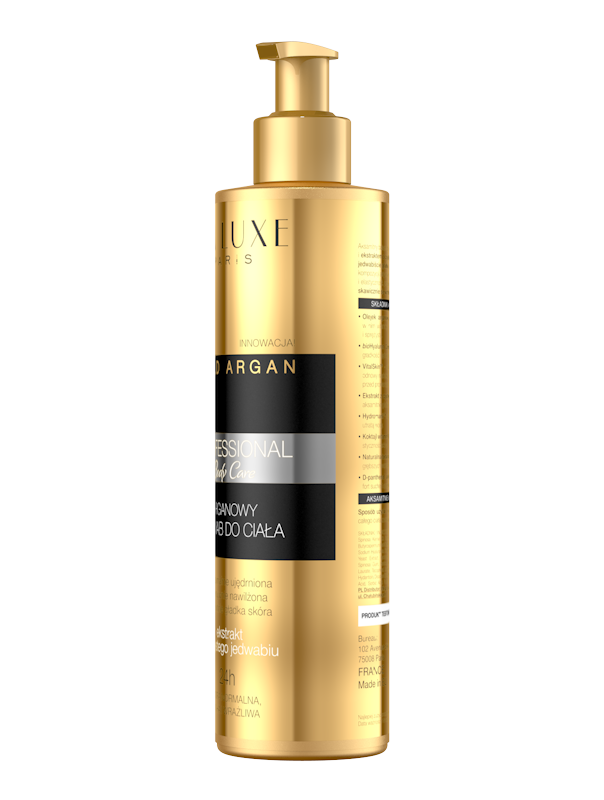 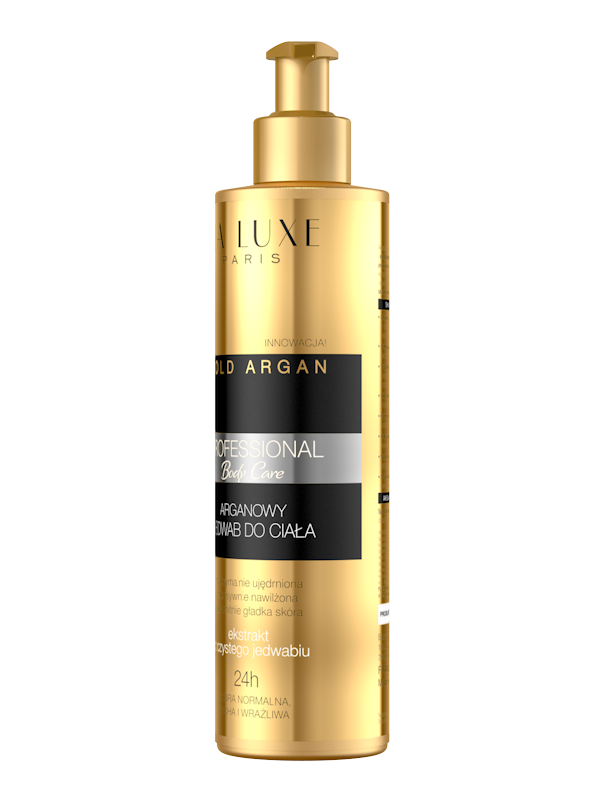 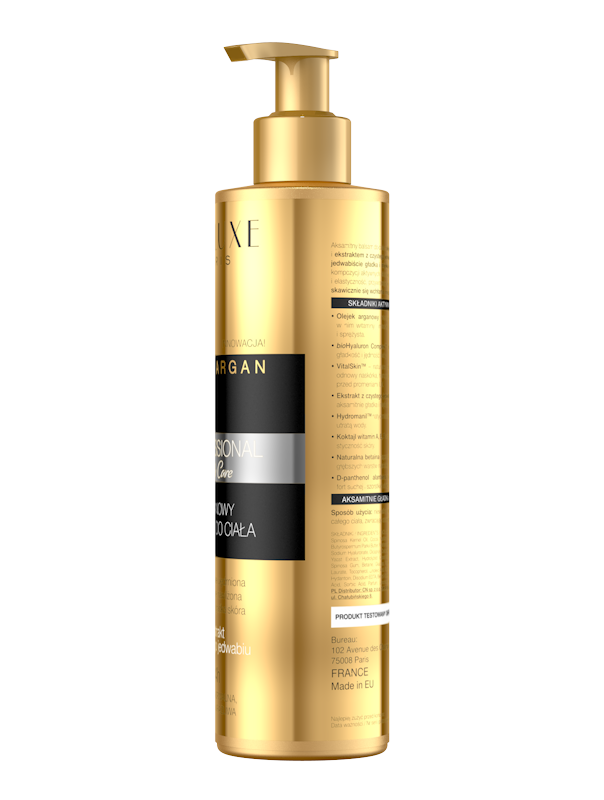 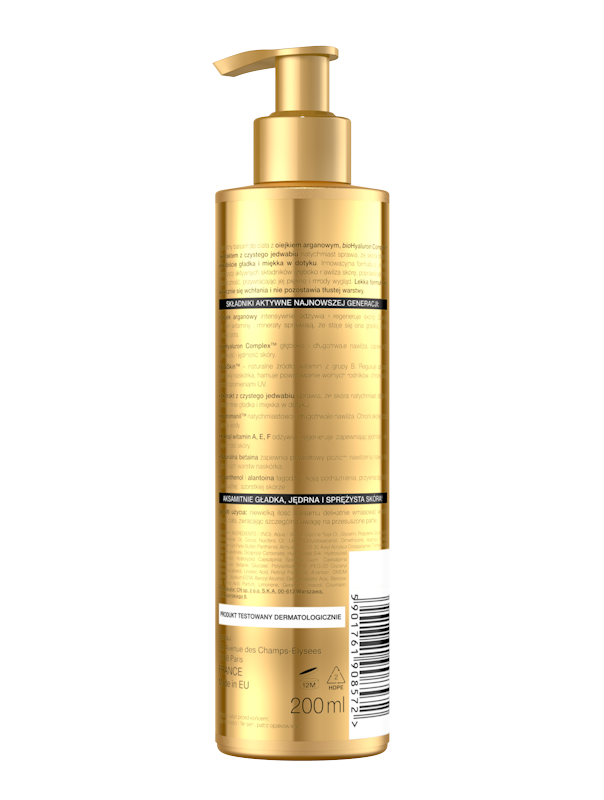 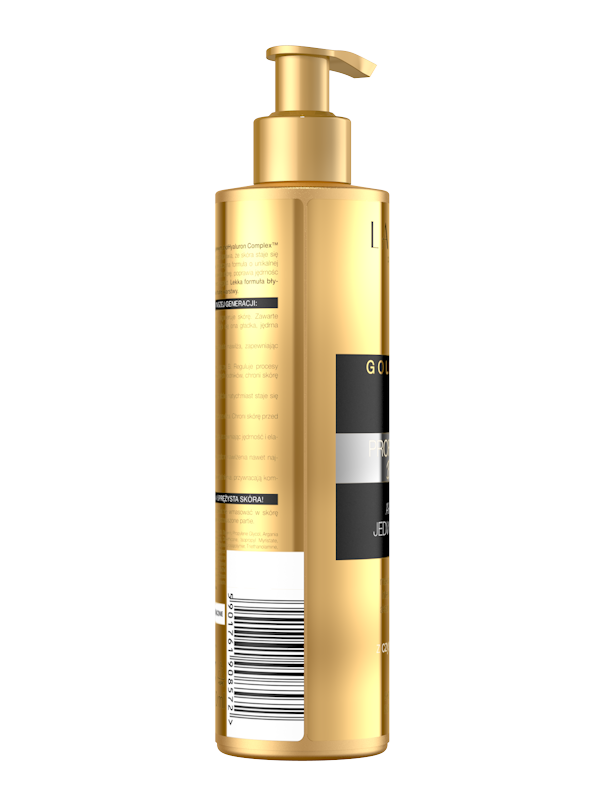 Velvety body lotion with argan oil, bioHyaluron Complex™ and extract from pure silk immediately causes that the skin becomes to be velvety smooth and soft in touch. 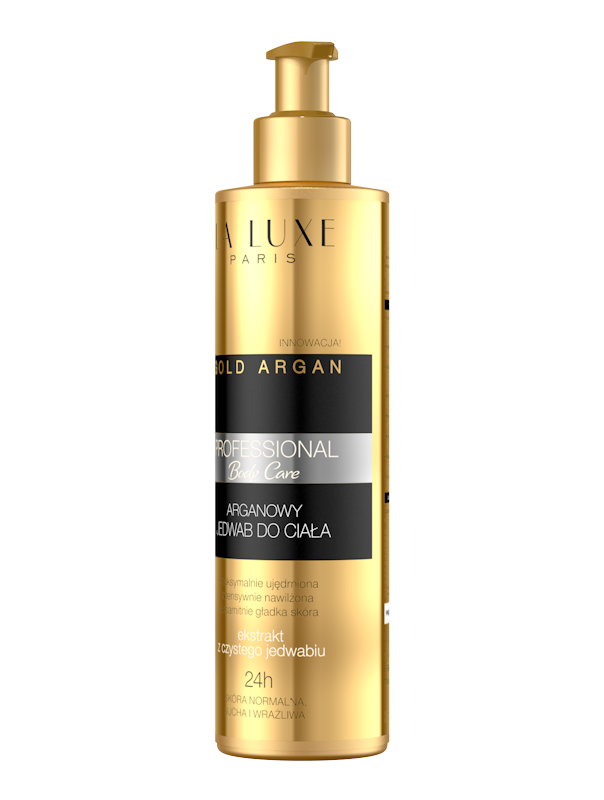 Innovative formula about unique composition of active ingredients deeply moistures the skin, corrects firmness and flexibility, regains it beauty and youth appearance. 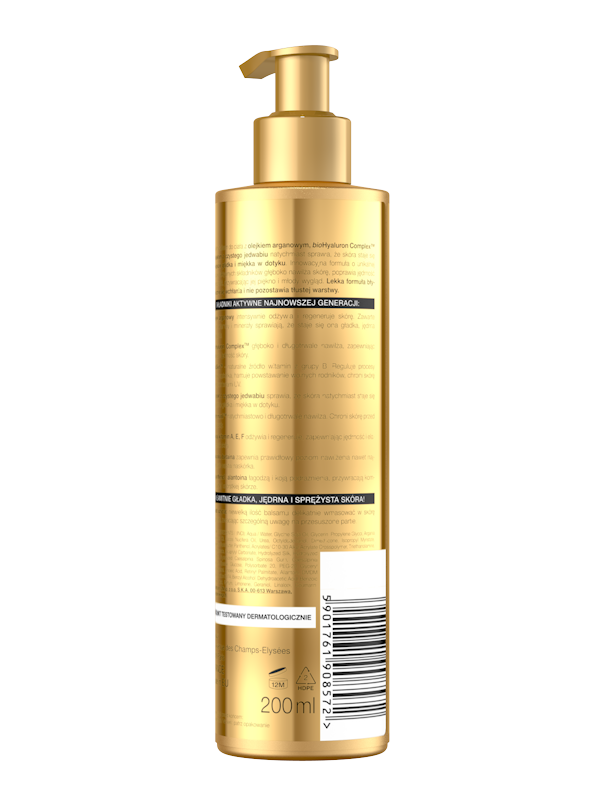 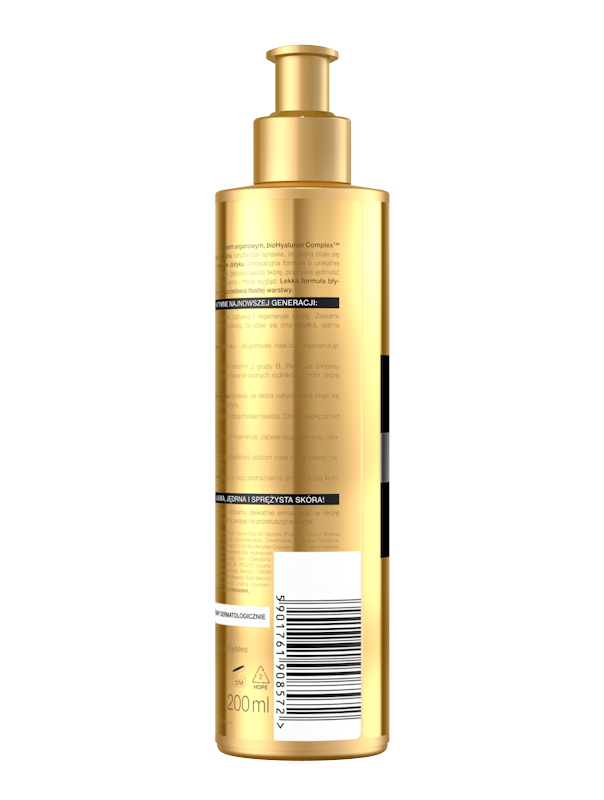 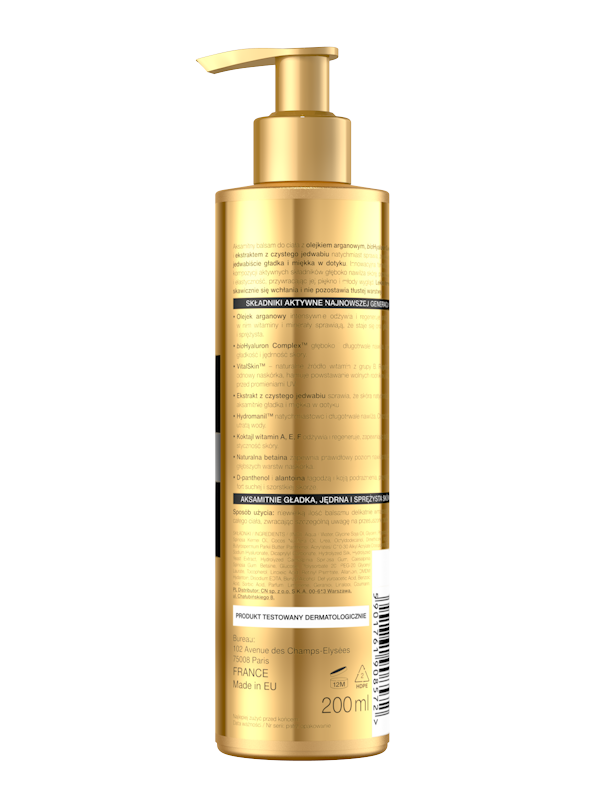 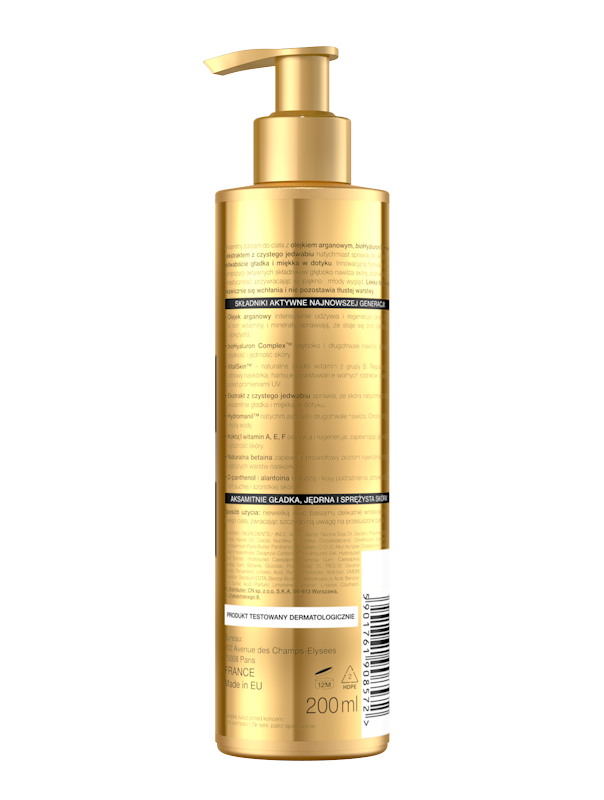 The light formula rapidly absorbs and does not leave greasy layer. 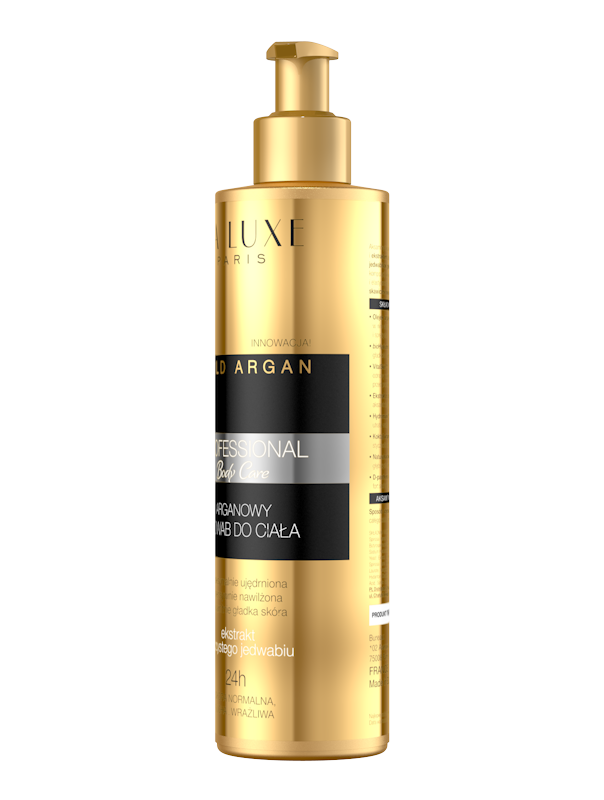 Argan oil intensively nourishes and regenerates the skin. 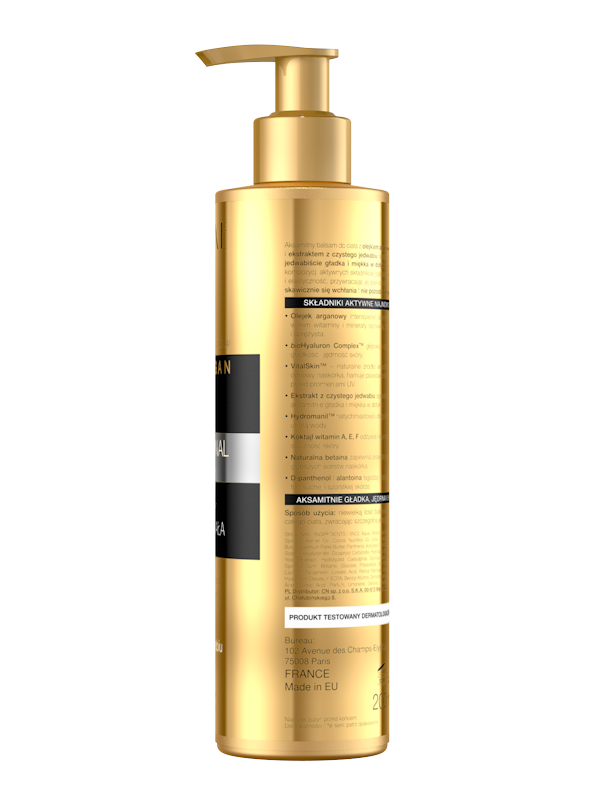 Contained vitamin coctail and minerals caueses that the skin becomes to be smooth, firm and elastic. VitalSkin™ natural source of vitamins from B group, regulates the processes of epidermis renewal, stops arises of free radicals, protects the skin against UV radiation. Extract from pure silk immediately causes that the skin becomes to be velvety smooth and soft in touch. 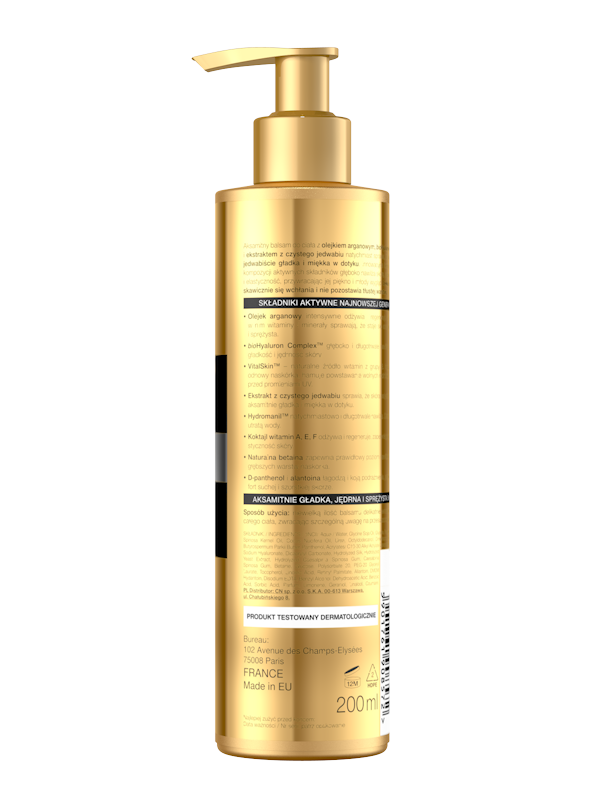 Hydromanil™ immediately and long-term moisturizes, protects the skin against loss of water. Velvety soft, firm and elastic skin!